The women’s section at St Boswells was started in 2011 to provide opportunities for women and girls of all ages to play cricket in a relaxed and friendly environment. New players are always welcome and are invited to come along to training on a Friday evening 6-8pm at The Green. There are opportunities for girls of all ages and levels with coaching provided by Scottish Internationalist Kathryn White. “St Boswells Ladies” (the playing team) is entered every season into both the Women’s Scottish Cup and Women’s National League (Witherby Publishing Group Charitable Trust League). WE ARE CURRENTLY SEEKING A SPONSOR. For more information please contact Kathryn on 07780 908021 or crickchick@hotmail.com. 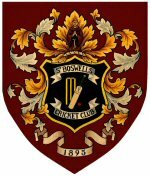 Keep up to date with all our activity either here on the website or visit us at Facebook – St Boswells Ladies Cricket Club.